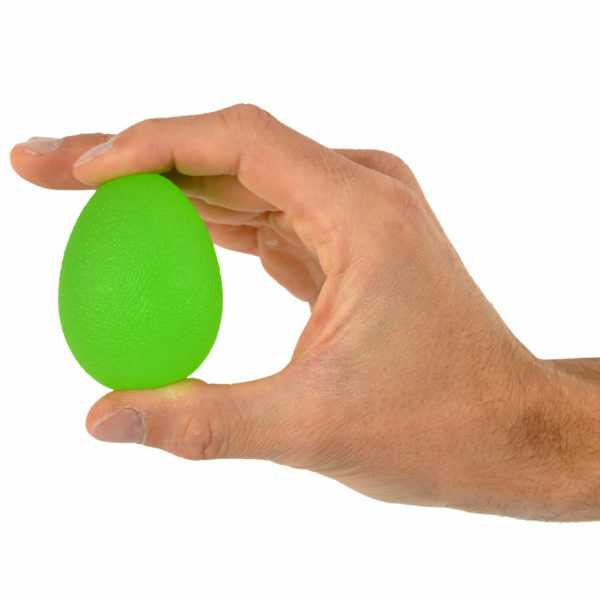 The MoVeS Squeeze Egg is ergonomically shaped to provide highly effective exercise for the hand therapy and strengthening of weakened or injured fingers, hands and wrists. The MoVeS Squeeze Egg is ergonomically shaped to provide highly effective exercise for the hand therapy and strengthening of weakened or injured fingers, hands and wrists. Because it is small and easy to use, you can exercise anywhere, anytime.